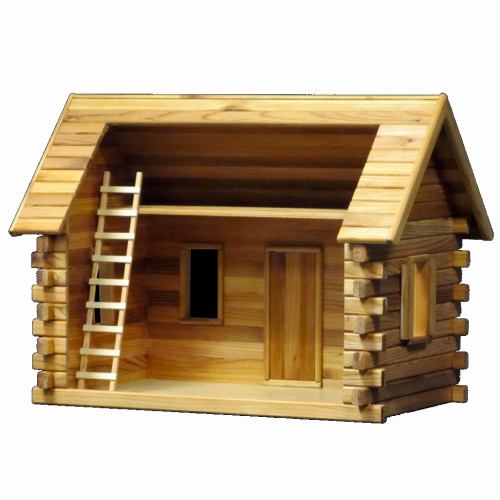 The Lakeside Retreat Log Cabin Dollhouse Kit Classic features precision workmanship. The kit consists of all Red Cedar Logs (except base floor and ladder) with printed woodgrain base floor. Loft position in this house is at 9" high, but the builder can put it higher or lower, depending on your needs. Kit includes step-by-step instructions with detailed drawings.